Over 2 years ago, I made a Chili Cheese Dog Dip that would haunt me until this very day. 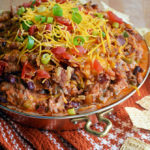 Not because it wasn’t delicious (trust me, it was), but because every single time I would ask James, “Guess what I’m making this week,” he would guess Chili Cheese Dog Dip. I eventually stopped asking him to guess, but then when I would ask his opinion on what I should make for the blog in the upcoming week, he’d say Chili Cheese Dog Dip– which I had already done, of course. So, naturally, I stopped asking him what to make… but that only fueled the fire. He moved on to randomly injecting Chili Cheese Dog Dip into our conversations. He would ask about Chili Cheese Dog Dip before we went to sleep. He brought up Chili Cheese Dog Dip at least once a week for the past 119 weeks. And then, finally, it clicked: cheesy, chili-loaded dip with an unexpected– but very welcome– addition of hot dog slices could bring out the inner obsessive weirdo in all of us. James wasn’t asking for it constantly because he wanted to annoy me (okay, well that probably had something to do with it), but because it’s just that damn good. With his birthday coming up and the Super Bowl right around the corner, I decided to make it again, with some slight adjustments. 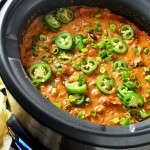 “Slow Cooker Chili Cheese Dog Dip,” I elaborated. And on that day, I was the most beloved girlfriend in all the land. Luckily, I also happened to plan for the dip right in time for a massive snowstorm that would leave us all stranded indoors with nothing but beer and board games to occupy our time. We were all getting up and sneaking over to the slow-cooker to steal a few scoops in-between dice rolls, and just like that it disappeared before the snow even started to let up. 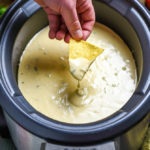 Now, for a slow cooker recipe, this dip has a decent list of ingredients, but none of them are complex or uncommon, and each has its place in creating a truly flavorful chili base rather than just using the canned stuff that tastes like… well… cans. 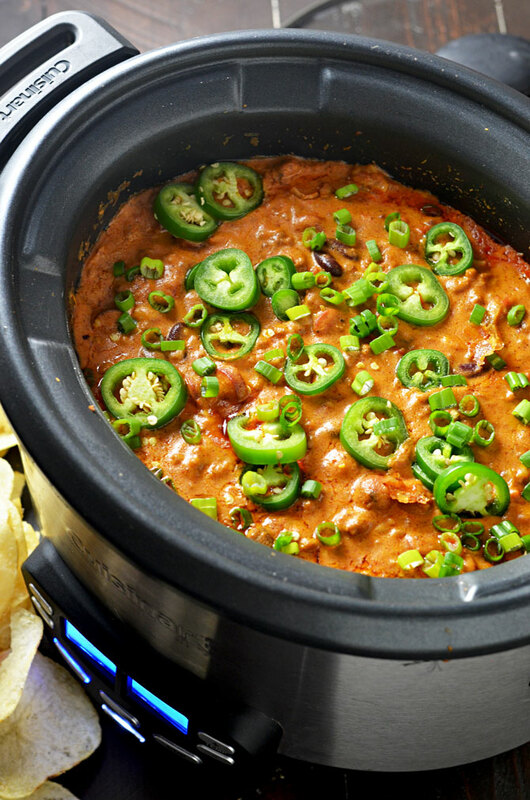 You don’t want to cut corners here– this is about as tasty as a slow-cooker dip can get. I don’t know if you’ve noticed, but videos are my “new thing” lately. You know what should be your “new thing”? This dip. Aw yeah. 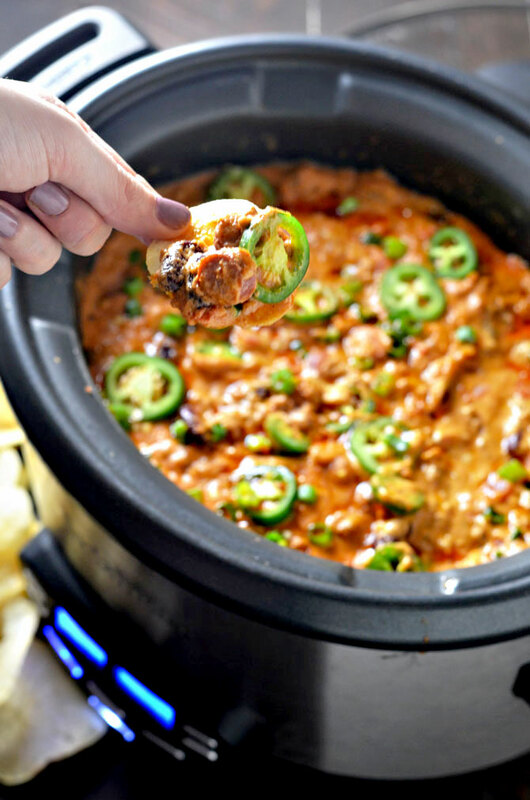 Go on and make it for your Super Bowl party, for your next pot luck event, to surprise your significant other, or for no reason at all because no one can stop you from enjoying a crock pot full of Slow Cooker Chili Cheese Dog Dip. Just don’t forget to take a picture and tag #hostthetoast on Instagram or Twitter to show off your creation! 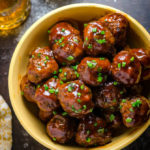 In a large skillet over medium-high heat, brown the ground beef, breaking apart any chunks with your . When the beef is nearly browned, add in the onion and garlic. Continue to cook, stirring occasionally, until the beef is completely browned and the onion has softened. Drain off any excess grease and transfer the beef mixture to a slow cooker. Add the hot dogs, kidney beans, diced tomatoes, cream cheese, cheddar cheese, tomato paste, chili powder, worcestershire sauce, light brown sugar, cumin, salt and pepper, and milk. Stir gently to combine. Stir and thin with additional milk, if necessary. Top with jalapeno slices and green onion, and set the slow cooker to warm. Serve with chips, for dipping. 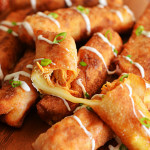 I can’t freaking wait to make this for the SuperBowl!!! Thanks! I’m not surprised that this dip has stuck around in James’ mind – it looks ridiculously addictive! I never would have thought to include hot dogs in a dip, but I’m sure that once I make it, there will be no turning back! I’m going to use turkey sausage instead of hot dogs. Good god. You’ve done it again! Made me salivate with a crazy delicious dip. This looks crazy delish! I’m gonna make this this weekend, bake some mozzarella twist bread to dip into this and park myself in front of the tv with a good movie and wine. 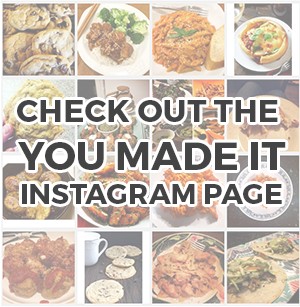 Appreciations for sharing this recipe! This stuff was DELICIOUS!!! Def putting this in my ‘tried and true’ book. Morgan! This recipe is insane. Which version do you prefer taste wise – slow cooked or the original? My husband made this and said this probably didn’t need to cook for as long as written or maybe our pot runs hotter but I agree it seemed to have broken the cheddar a bit. Still very tasty but not as creamy as it looked in the pictures.